As the event grows nearer all of the pieces come together. The sponsors, vendors, entertainment. The ordering of port-a-potties and the ABC liquor license. The health inspections. It’s like planning a kid’s birthday party, but magnified by a billion times. Unless your kids have over a dozen bands playing their soiree, that is. 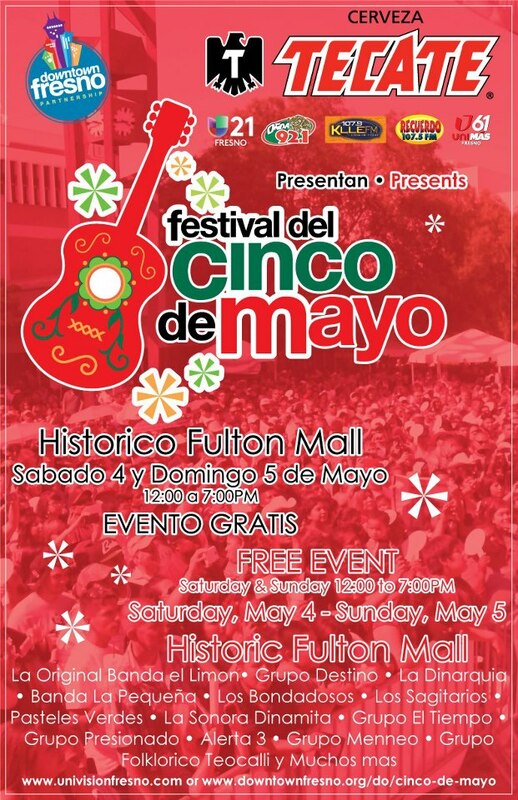 Cinco de Mayo is one of those big events- it encompasses two chunks of the Fulton Mall- 4 blocks all together, even closing traffic at Tulare. There are vendors galore with everything from fresh fruit cups and kettle corn to juicers and attorneys to kid’s hats with Spiderman on them, I even saw someone with live plants for sale. That’s right, you want a pomegranate tree? 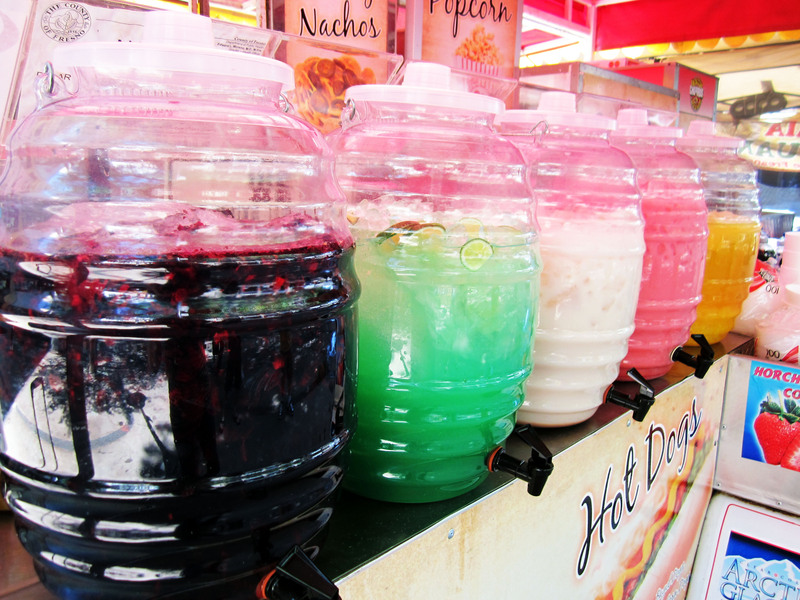 You can totally get one at Cinco de Mayo. That blew me away, mainly because I’m in the market for one. Oh yeah, and tacos. So many tacos, even a taco contest! This is the 25th year of celebrating Mexican heritage and culture on Cinco de Mayo here in downtown. The event is free, family friendly and draws a huge crowd to Downtown Fresno every year. I took a walk yesterday afternoon to see the setup in the final hours before the event, and it was fun seeing so many people working together to create the magic of the festival. Be sure to check out the event Saturday May 4th and Sunday May 5th from 11 AM to 7 PM! Now imagine the festival when the city cuts down all the mature trees to add hot, heat absorbing asphalt.